Stone Age Survivor is the name of an action-survival game that is currently being developped by two young developers from switzerland. The player awakens in a world full of animals, dinosaurs and plants, with which he can interact. 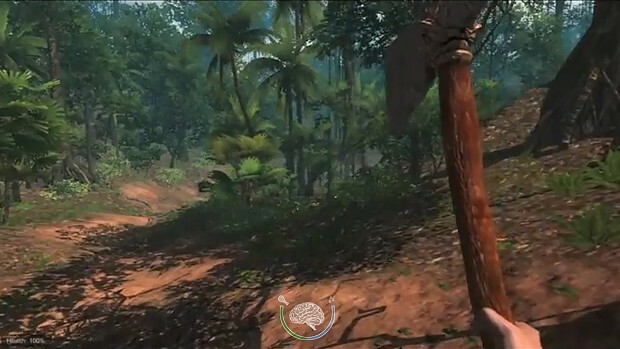 The player collects plants and hunts animals, which will drop certain items such as meat or skin. The player will then be able to craft useful gadgets such as weapons from wood and stone or food from various plants. These newly crafted items will increase the player's chance of survival. Not only has the player to deal with hostile animals, but also he can get himself killed by simply eating off the wrong plant. There will be some unique features like our intelligence system. So Stay tuned and check out our project site.